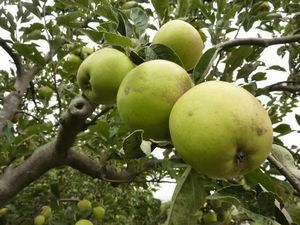 Cockle Pippin - Apple Tree £12.75 - Dessert Apples - Late Season Apple Trees and Fruit Trees For Sale. Buy at competitive prices with wholesale discounts. Cockle Pippin is a firm and aromatic eating apple. As a variety it is a heavy cropper and has a hardy structure making it suitable for exposed areas. 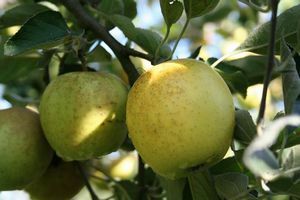 The apples have attractive greenish-yellow russetted skin and are medium to large in size. This variety originates from Surrey in 1800.